Paul G. Harris (ed. 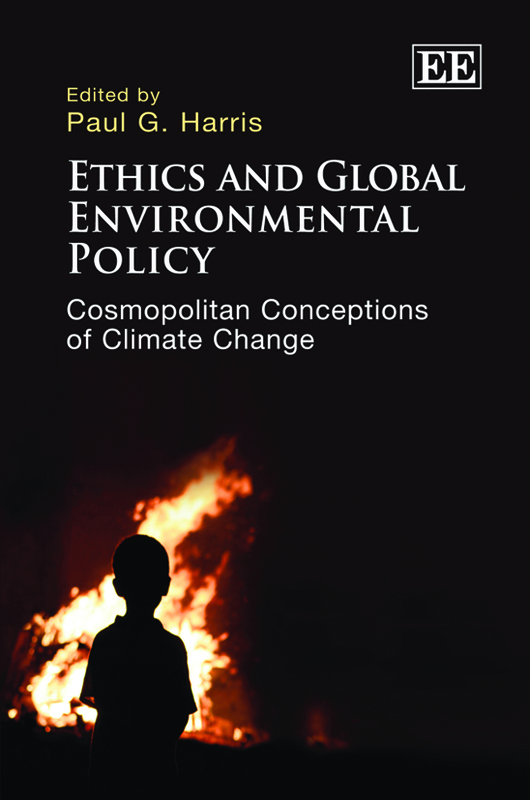 ), Ethics and Global Environmental Policy: Cosmopolitan Conceptions of Climate Change (Edward Elgar, 2011). This collection of provocative essays evaluates the world’s failed policy responses to climate change, in the process demonstrating how cosmopolitan ethics can inform global environmental governance. A cosmopolitan worldview points to climate-related policies that are less “international” and more “global.” From a cosmopolitan perspective, national borders should not delineate obligations and responsibilities associated with climate change. Human beings, rather than the narrow interests of nation-states, ought to be at the center of moral calculations and policy responses to climate change. In this volume, expert contributors examine questions of individual and global responsibility, burden sharing among people and states, international law and environmental justice, capitalism and voluntary action, pluralist cooperation and hegemony, and alternative approaches to climate action and diplomacy. The book helps to illuminate new principles for global environmental policy that can come from cosmopolitan conceptions of climate change. Ethics and Global Environmental Policy is intended for scholars, students, policymakers, activists and analysts in the fields of climate change, international ethics, environmental policy, international environmental diplomacy, global environmental politics and environmental studies. Government officials, nongovernmental actors and informed readers concerned about climate change and global justice will also find much to interest them in this book.